Our Okapi Corn Knives meet the requirements for your hands-on agricultural needs. The flattened and widened tip allows for maximum cutting power and safety for the fellow workers in the field. 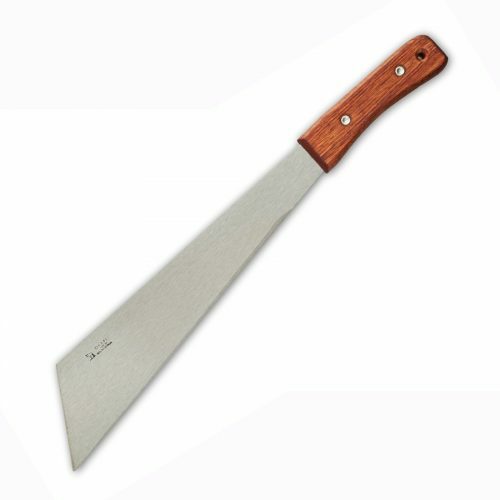 The 16” 1055 carbon steel blade comes available in a regular satin finish with a robust wood handle (KO4000) or a black coated blade with an orange injection molded handle (KO4001) in our Reliance Series.